We’re in the home stretch everyone! We’ve had the Globes, we’ve had most of the critics, and this Wednesday, we’ll have the SAGs! Which means it’s about time I get my act together and finish off these predictions. That means it’s time we take a look at everyone’s favorite category, the Best Concerned Wife! Oops. I mean, it’s time for Best Supporting Actress! I really shouldn’t be that hard on Best Supporting Actress, considering they go ahead and surprise me every year. I mean, I went 0/5 in my original predictions in 2017, and none of them were dutiful wives (granted, three of them were mothers, but that’s still improvement, and at least they were all complex characters in their own right)! This year has not been as complicated, as four of my nominations have not changed since the beginning of the year, and that fifth one was a flip between #1 and #6. That’s the power of the critics: they can take a performance you like but doubt has Oscar potential and make it a frontrunner. This year’s critical darlings include Natalie Portman in Vox Lux, Tilda Swinton’s transformative performance(s) in Suspiria, and Elizabeth Debicki’s fascinating turn in Widows. 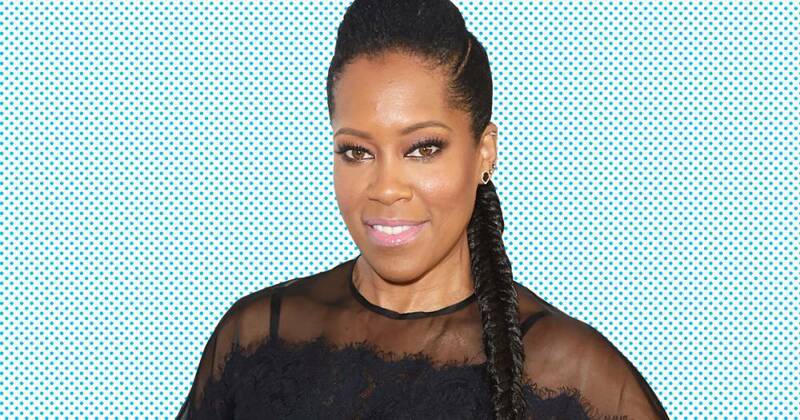 However, no performance has captured the critical eye, nor received the same kind of love thus far in the season, than Regina King in If Beale Street Could Talk. King has been a critical favorite for years, having stolen everything from Jerry Maguire to Friday to the hit television series American Crime. And every step of the way, she has earned notice for a potential bid at awards season (she already has a few Emmys under her belt). However, she has never had as clear a shot at the Oscar as she does for Beale Street. Director Barry Jenkins has a track record for getting his actors nominated, and in Beale Street, King has a prime role as Sharon Rivers, the mother of a young girl who becomes pregnant while her fiancée is stuck in jail for a crime he didn’t commit. King’s role is an emotionally powerful one, a role filled with sage wisdom and support in a way the Academy loves to honor. And considering her near-sweep of the precursor awards, it seems incredibly likely that she will be receiving a nomination, and likely a win, come January. Count King as a lock going forward. Similar to the Critical Darling, we have the Old Staple. 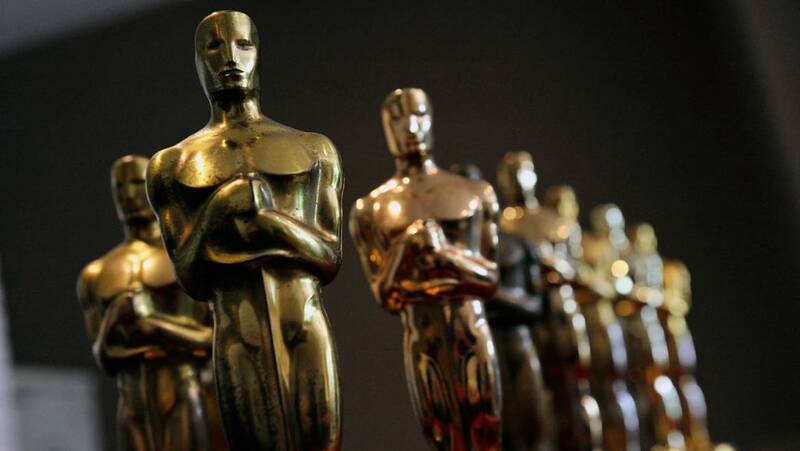 These are the performers who, whether old or not, the Academy loves to bring back, due to the name recognition and the general likability of the performer – not to mention their legendary status. This year’s contenders include Sissy Spacek in The Old Man and the Gun (one of my favorite performances of the year), Michelle Yeoh in Crazy Rich Asians (truly wonderful), and, of course, Meryl Streep in Mary Poppins Returns. However, for this year’s Old Staple, I’m looking a little bit younger, although no less nominated: Amy Adams for Vice. In her twenty-year career, Adams has received a shocking five nominations (should have been six, but I’ll let the Arrival snub slide): four for Best Supporting Actress and one for Best Actress. This time around, Adams is appearing in a biopic (ding) directed by an actor-friendly director in Adam McKay (ding ding ding) playing Lynne Cheney as a sort of tragic Shakespearean figure (DING DING DING DING DING DING DING DING). I’d be predicting this performance even if history didn’t provide Joan Allen as historical precedent (she previously played Pat Nixon and got nominated). Furthermore, the Academy loves to set this category up as a battle between the nuanced and the bombastic (see: Metcalf vs. Janney, Davis vs. Williams, Nyong’o vs. Lawrence, etc.). With the nomination of King alongside Adams’ broader performance, it would help the Academy follow their template to a T. Expect Adams to be a part of the five come January. And now we take a slight pause from the usual breakdowns to take a look at a tradition the Academy hasn’t followed for quite some time: The Dream Team. When the Academy finds an ensemble they truly love, they like to nominate as many actors as they can. You can see this last year in Phantom Thread (a surprise nod for Lesley Manville) and The Shape of Water (Octavia Spencer sneaking in for what essentially amounts to a cameo). 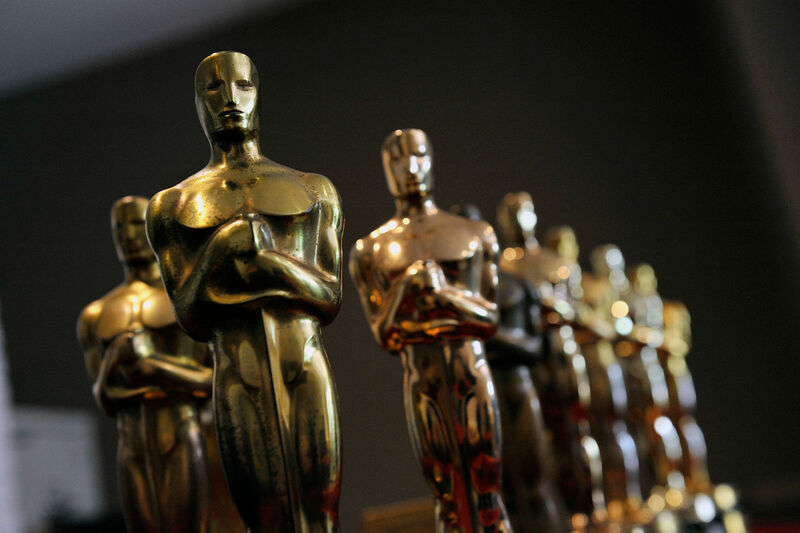 However, when the Academy is really in love with the film’s actresses, they double nominate. And for a while in the 2000s, they double nominated in this field as often as they could – Almost Famous, Gosford Park, Chicago, Babel, and then four years in a row for Doubt, Up In The Air, The Fighter, and The Help. Hell, this tradition traces all the way back to 1939, when Gone With The Wind earned nominations for Olivia de Havilland and Hattie McDaniel (who won). It hasn’t happened for a few go-rounds now, but I predict it will happen again this year, thanks to the wonderful cast of The Favourite. 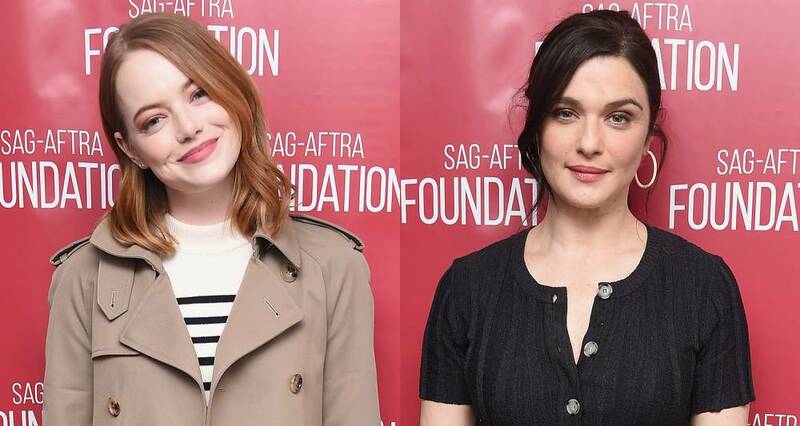 Now, truthfully, The Favourite doesn’t have any supporting actresses. It is, in equal parts, Olivia Colman, Emma Stone, and Rachel Weisz’s stories, each taking control of the narrative for a period of time. However, in order to earn the most nominations possible, the studio has to play things smart and play the actresses in their best possible fields. And that means placing Olivia Colman in Best Actress while Stone and Weisz compete in Supporting. And unlike some years, where the field is too competitive and the vote is split, I predict that both Stone and Weisz will get in. Weisz’s controlled manipulations will complement Stone’s wild lack of inhibitions to pull each other into the race and bolster the film’s Oscar nom total. While it is entirely possible only one or none of the performances receive a nomination, I think it is more than likely that we see both actresses have their names called. And finally, in the most clichéd nomination possible, we have the Oscar bait. You know the type – I’m talking about performances that either involve royalty, worried wives and mothers, put-upon assistants, disgruntled daughters, loud-mouthed older women, and more. This year, we have a few options for this type of nomination. Former nominee Vera Farmiga plays a possibly wronged wife in The Front Runner. Nicole Kidman is really great as a caring woman whose faith cause her to become torn between her husband and her troubled son in Boy Erased. And Claire Foy takes a clichéd dutiful wife role in First Man and turns it on its head, giving a reason for her concerns in a more-repressed 1960s setting. However, because Hollywood loves (or loved) costume dramas, I think that Margot Robbie will receive a surprise fifth nomination for Mary Queen of Scots. Robbie is on something of a hot streak at the moment, thanks to an Oscar nomination for her terrific turn in I, Tonya (she should have won, just sayin’). In Scots, Robbie plays the famous Elizabeth I as she alternates maintaining peace and battling the forces of her cousin, Mary, Queen of Scots. Robbie gives her all to a performance that has already earned three nominations in the past, and she does so while delivering a series of well-executed monologues. And while the film has sort of been forgotten by critics and award bodies alike, most people agree that Robbie is one of the strongest aspects of the film. I will say that of the five I have predicted at the moment, Robbie’s chances are most likely the slimmest. However, stranger things have happened, and if enough of the older voters see the performance and end up loving it, then I don’t see why Robbie can’t pull off yet another nomination for a highly contested fifth spot. And that wraps up my current list of five. Now, that list might change as more information files in over this week. It’s entirely possible that Claire Foy or Nicole Kidman end up earning a lot of precursor awards and end up sneaking into the race – and that’d be awesome! They are well deserved! But until then, this seems like a pretty solid list of contenders. And as for the rest of the contenders, you can see all the Best Supporting Actress contenders right here, my updated Oscar predictions here, and the Top Five down below. 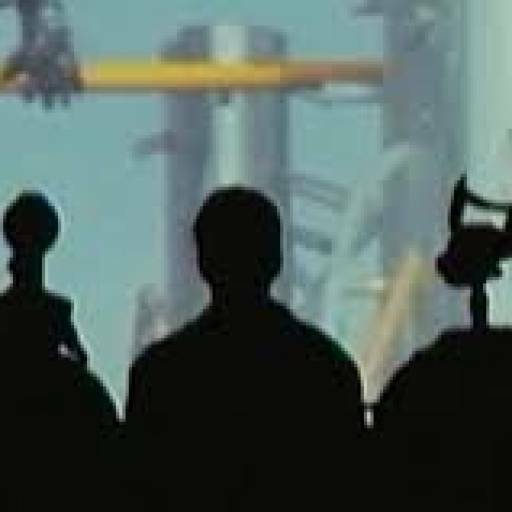 I’ll be back tomorrow with Screenplay, and then a full list by the end of the week. See you all then!